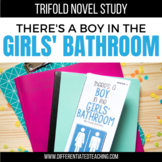 There's a Boy in the Girls' Bathroom by Louis Sachar: A Complete Novel Study! 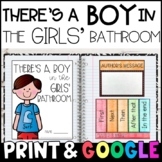 This is a 35 page unit for There's a Boy in the Girls' Bathroom. There is a vocabulary page and comprehension questions (both literal and inferential) for each chapter. I have also included a mini-unit on Bullies to use with the book. 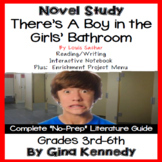 Mrs. R.
Also included in: Louis Sachar Novel Bundle: Holes, There's a Boy in the Girls Bathroom, & more! 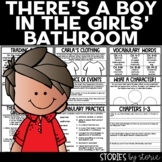 This is a final assessment for the book "There is a Boy in the Girl's Bathroom". There are character matching questions, multiple-choice questions, and short answer questions. 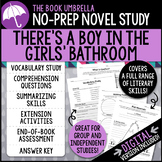 Three weeks worth of spelling/vocab lists, vocabulary tests, and answer keys to vocab tests for the book There's A Boy in the Girls' Bathroom.